Check the battery charge level of your lantern by pressing the battery indicator button to the right of the power button. The green LEDs will light up and show you how charged your lantern is (0%-100%). The more charged your lantern is, the more charge it will be able to give to your phone. 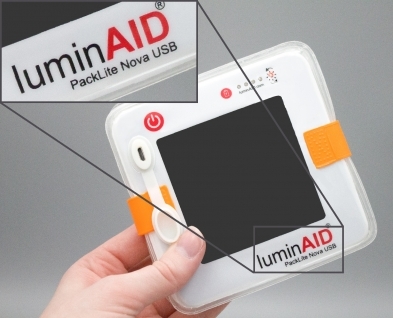 Ideally, the lantern should be charged at least 75% before using it to recharge your phone. You can recharge the lantern with the micro USB input or by placing it outside in the sun. Do not attempt to charge your phone while charging the lantern. Doing so puts undue stress on the lantern battery and will impact overall lifetime of the device. After the lantern is charged, plug in your phone and press the red battery indicator button to start charging. A few seconds after pressing the battery indicator button, your phone should start charging. If your phone isn't charging, double-check that the cable is securely connected and press the battery indicator button again. If your phone is not charging, a faulty cable may be the culprit, so try a different cable. Larger phones will not be able to be recharged 100% with all of our lanterns. 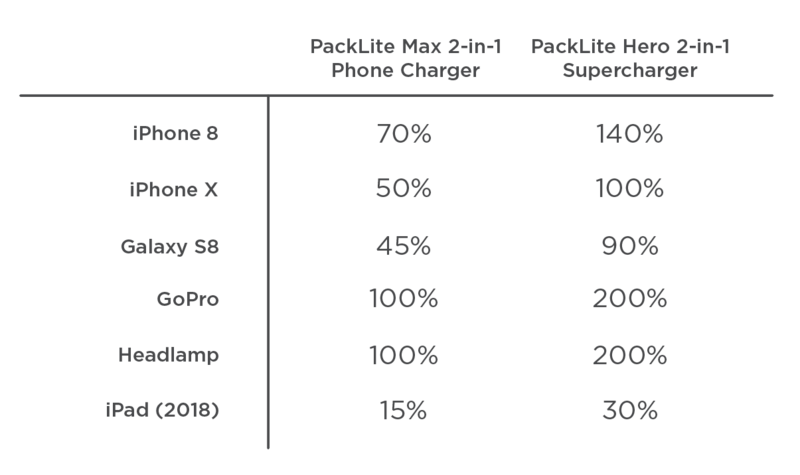 Check the table below for estimated charge percentages with some popular devices.